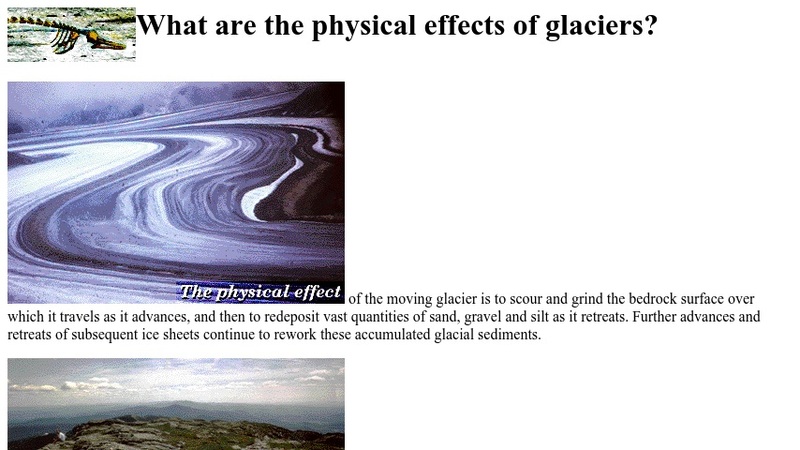 What Are the Physical Effects of Glaciers? This text explains how glaciers scour and grind the Earth's surface, and about the sorts of deposits they leave behind. Emphasis is on glaciation in the mountains and valleys of Vermont. Links to related topics are included.